Join me for a lively adventure down the rabbit hole where I will be your guide into the world of "Folk Art Fusion." My "Play Dates" are designed to inspire creativity as we make my "Beekeeper Pincushion." Students will choose from three flower designs, wool colors, Valdani thread and embellishments. 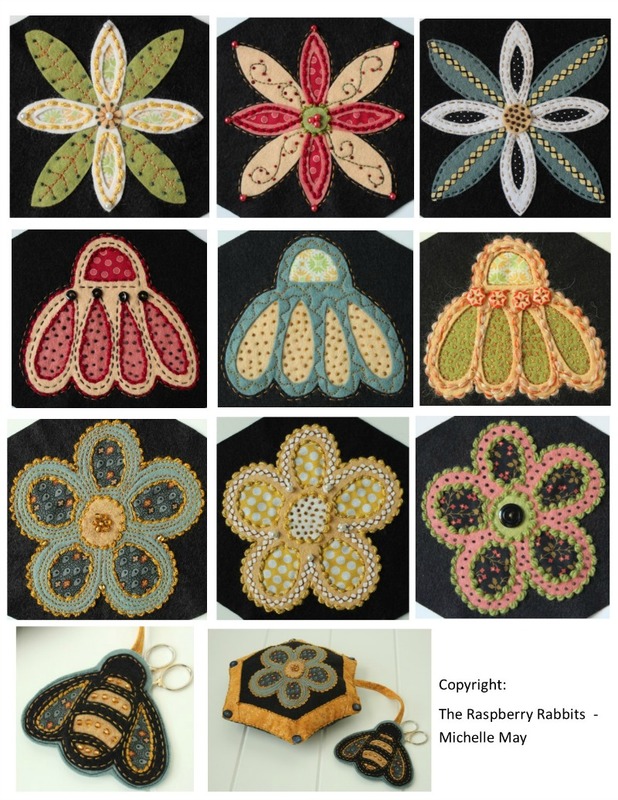 I will provide guidance and instruction on creating my reverse wool applique pieces, as well as, loads of ideas and inspiration on how to embellish the flower. Each student will leave with their own unique piece. There are no sewing machines required for my Play Dates. Students only need to bring two pair of scissors. This is a stress free class filled with friendship, conversation and some good laughs. Join me! Hi! I'm hoping to take your class at my guild in February...when it was first mentioned in our newsletter. 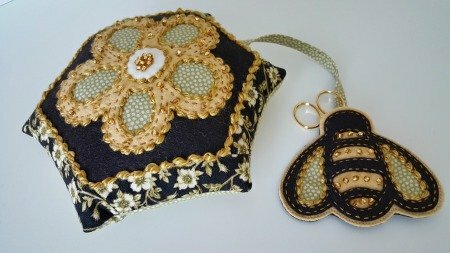 I checked your website and fell in love with the flower and bee pin cushion.I do a lot of hand work and would really like to make it. In addition to doing the pumpkin for class . Is it possible to buy the kit in addition to the class kit?